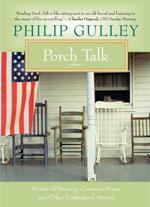 Beloved American storyteller Philip Gulley evokes a time when life revolved around the front porch, where friends gathered, stories were told, and small moments took on large meaning. 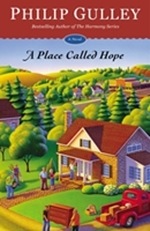 In today’s hurry-up world, Gulley’s observations are frank and funny, reminding us of the world we once shared, and can again. With poignancy and humor, Gulley writes about small-town life, things he thinks about while sitting in his Quaker meeting, and why Donald Trump should pay more taxes. Porch Talk is a tribute to common folk, including Charlie the hardware priest, the Bettys at the newspaper, and other paragons of decency not many people know, but should.